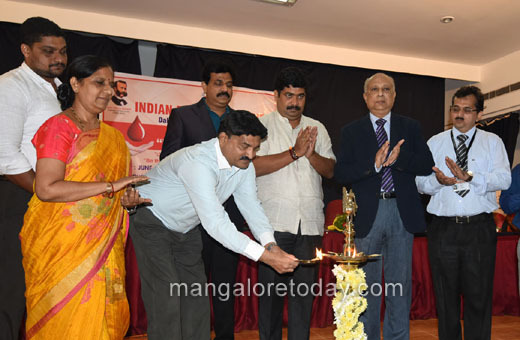 Mangaluru, June 15, 2018: Inaugurating the World Blood Donors’ Day at I M A Hall organised by Indian Red Cross Society here on June 14, Thursday, MLA D Vedvyas Kamath, lauded the efforts of Red Cross for their commendable work. He added that more youth should inspire the Gen Next by donating blood. 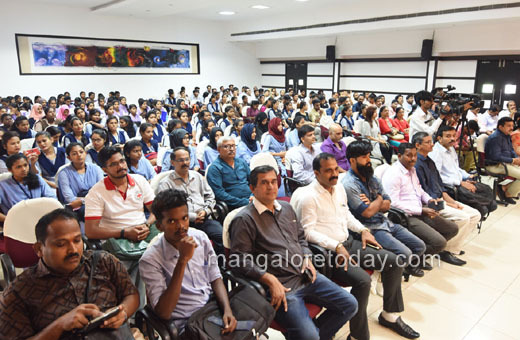 Stating that one unit of blood can save three lives, he stressed the need to clear misconceptions surrounding blood donation. 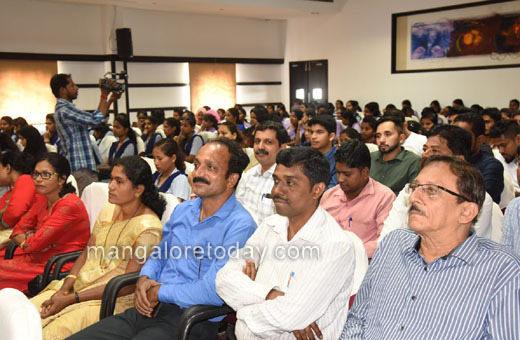 IRCS Blood Bank Chairman Dr Susheel Jathanna said that the Red Cross blood bank has been giving about 250 units of blood to Ladygoschen hospital free of cost every month. 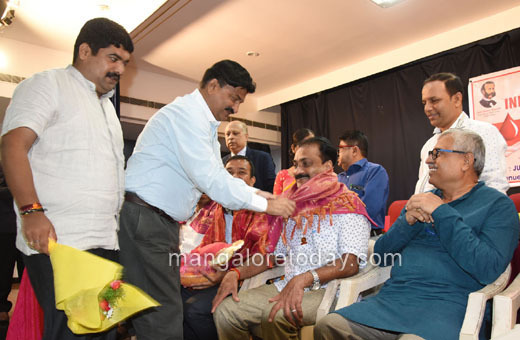 On the occasion, 10 blood donors were honoured for donating blood several times. 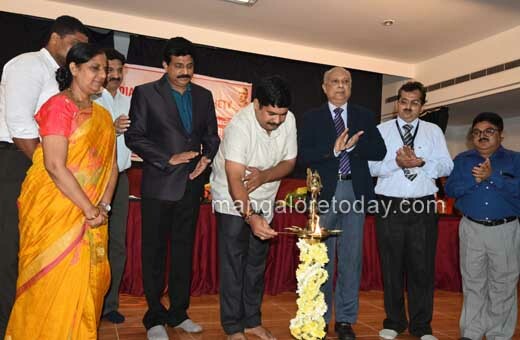 While IRCS DK unit President Shantharam Shetty presided over the programme, Ladygoschen Hospital Medical Superintendent Dr Savitha and IMA President K R Kamath were present.